December 14. Finally some snow on the ground. The low clouds reflecting light from the city plus the new fresh and bright snow really made it a lot brighter. 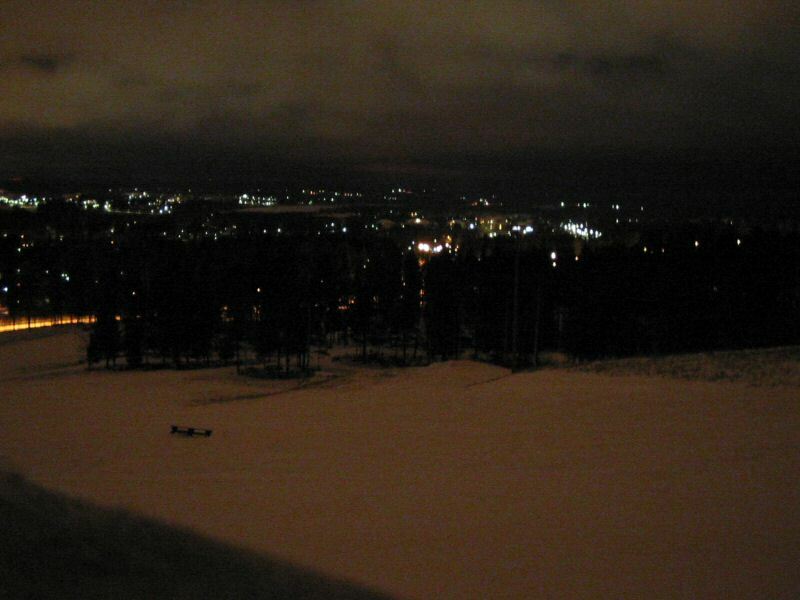 Walking on an unlit path in the forest up to the top of Ormberget in the middle of the night was no problem at all. Almost as bright as the day, at least for the flexible human eye. The camera had a little more of a problem though snapping a decent picture.